The divorce process doesn't have to be grueling. The truth is that it is only as difficult as you and your ex spouse choose to make it, explains Laura Paris, associate at Shulman Law Firm. 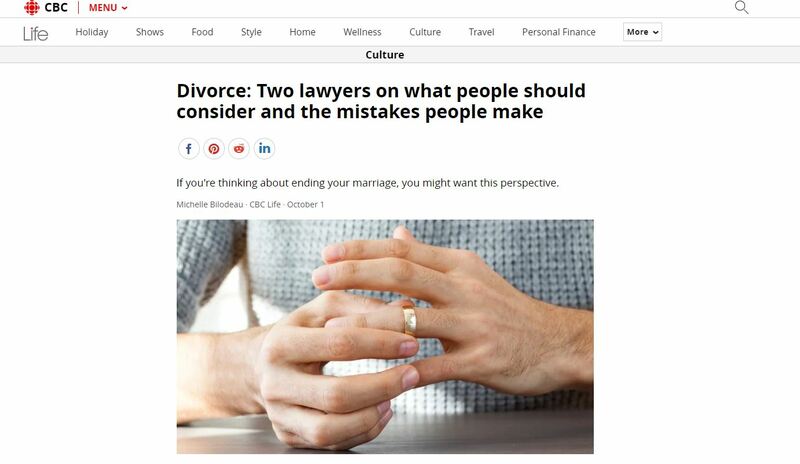 If you're thinking about divorce, you'll want to read her CBC interview, full of practical tips and advice, right now.